NO WARRANTY LOCAL is registered trademark, hence a legal action will be taken and account suspension request will be sent to amazon team. In case any other sellers try to sell our products then legal actions will be performed. 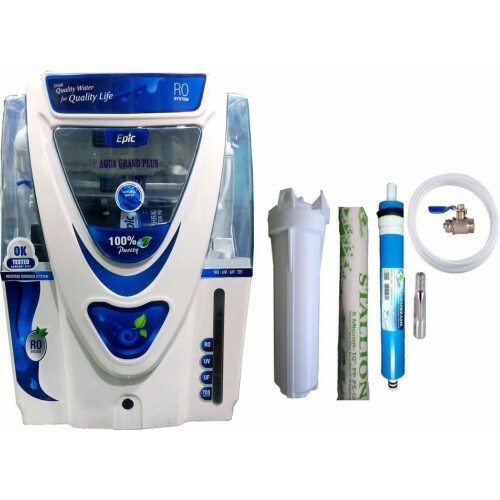 MANUAL RO ,3 stages purification system with NO WARRANTY ON THIS PRODUCT. its come with NEW 36V Bullet Booster pump which provide extra Inflow of pure water with imported SV ( Solenoid valve ) and New Upgraded 2.5 AMP Power Supply 24v+36v (DC) for Best Performance and Long Life of RO System (24v for SV and 36v for Bullet Booster Pump).40GPD imported membrane which reduces up to 30% of TDS level and provide clean and pure Drinking water .installation charges for installation is 1000/- and will be DONE AFTER 10days.